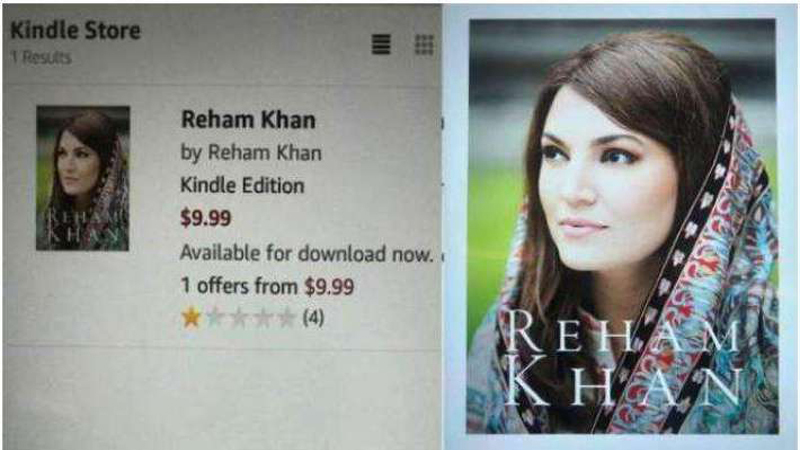 The much-anticipated and scandal filled biography of Reham Khan, the ex-wife of Pakistan Tehreek-e-Insaf (PTI) chairman Imran Khan, has been released online and its electronic version is now available for people on Amazon.com. The 45 year old journalist’s 563-page book is priced at $9.99 on Amazon and can be read online only.The biography titled ‘Reham Khan’ talks about the main events of her life. Before it was even released it created a storm in Pakistan because of rumoured portrayal of ex-husband Imran Khan and other famous personalities like Waseem Akram. The former BBC reporter has written in detail about the ten months that she spent as Imran’s wife. Reham has also written about quite a few of Imran’s close supporters and friends, including Hamza Ali Abbasi and Murad Saeed. It is being said that this book is propaganda to jeopardise Imran Khan’s chances of becoming prime minister after July 25 elections.